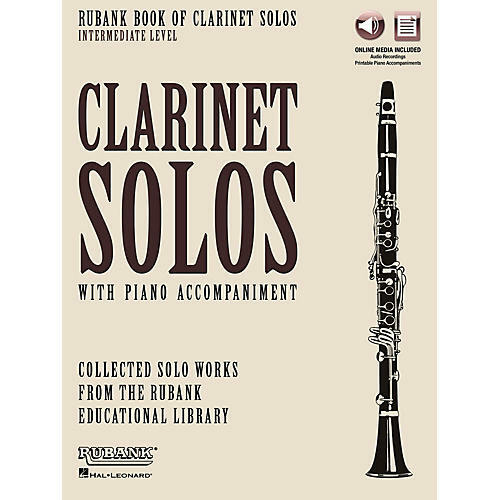 This compilation of 11 clarinet solos from the legendary Rubank educational library now includes online access to: · Full-performance and accompaniment-only audio tracks · PDF piano accompaniment files · PLAYBACK+ A multi-functional audio player that allows you to adjust tempo without changing pitch, change keys, and create practice loops - available exclusively from Hal Leonard. Contents: Adagio and Meneutto (Mozart) · Alleluja from Exultate, Jubilate (Mozart) · Bel Canto (Johnson) · Chansonette (Barret) · Concerto in G Minor (Handel) · Estilian Caprice (Paul) · Fantasy-Piece, Op. 73 No. 1 (Schumann) · Lamento (Bassi) · Menuet from Divertimento in D, K. 334 (Mozart) · Nocturne from Concerto in G Minor (Verhey) · Romance, Op. 3 (Becker).